IQS Directory provides an extensive list of broaching job shops and suppliers. Utilize our website to review and source broaching job shops with our easy-to-use features which allow you to locate broaching job shops that will design, engineer, and provide broaching services for your exact specifications. Our request for quote forms make it easy to connect with leading broaching job shops. View company profiles, website links, locations, phone number, product videos, customer reviews, product specific news articles and other production information. We are a leading manufacturer directory who will connect you with the right companies whether you are looking for broaching locations, broaching shops, or broaching services. Our broaching job shops have over 30,000 square feet of manufacturing space. We can work on multiple orders at once, which maximizes our customer’s time. You will not have to wait as long to fulfill your orders when you order from us. We take your time seriously and work quickly and efficiently to fulfill all orders on time. Contact us by phone today for more info! Looking for the best broaching job shops in the industry? You`ve come to the right place! As a company with over 59 years of experience, we are truly the best fit for your needs. Whether you need a unique broaching design or something a little more mundane, we can make it happen for an affordable price. With fast delivery, you`ll never need to go anywhere else! 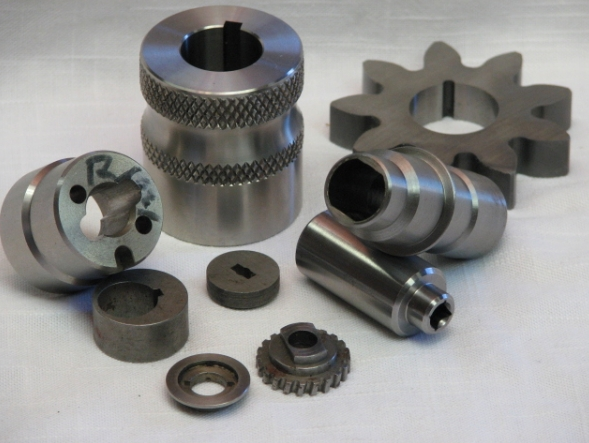 Specialty machining services include broaching job shops, manufacturing, sharpening and reconditioning. Our machinery provides for prototype and breakdown work, including vertical shapers, and the most advanced disintegrating and wire EDM machines. Virtually all types of products are available. VW Broaching Service provides customers with fast turnaround for emergency work! Looking for the best broaching job shops in the industry? You`ve come to the right place! As a company with over 25 years of experience, we are truly the best fit for your needs. Whether you need a unique broaching design or something a little more mundane, we can make it happen for an affordable price. With fast delivery, you`ll never need to go anywhere else! Broaching job shops are facilities that specialize in the metal removal service known as broaching, which creates cut outs, holes and profiles in metal performs called workpieces. Most broached products are produced in these facilities, when metal workpieces are broached internally or externally in high runs and large volumes. The broaching process is cost effective, easy and efficient because it is done with automated or CNC operated machinery that is either horizontal or vertical in orientation. The production broaching done at broaching job shops is an exceedingly positive broaching characteristic, since many work-pieces are machined at once and this process takes only seconds to complete. Since broaching requires no secondary operations and the machining process is so short, producing high volumes of industrial products like pulleys, gears, sprockets and the threading on screws takes little time. Broaching machines are considered special purpose machinery because they are confined to very limited capabilities; many can only produce one or two different product designs. For this reason, facilities that use broaching machines usually specialize in a certain type of broaching, including blind broaching, external broaching or rotary broaching. These processes machine work-pieces, usually made out of softer metals like aluminum, copper and brass, that when finished are used within the automotive, machinery, aerospace, commercial and military industries. Broaching machines produce several different shapes in metal, which alter the surface or are drilled straight through. 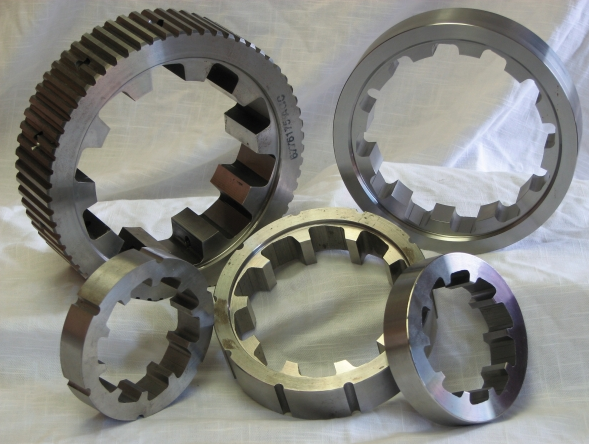 Types of shapes created by broaching machines include hexagonal, square, round, slots, splines and the most common cut, a hole with a keyhole-shaped profile called a keyway. Broaching is accomplished several different ways, including pull and push broaching. When a work-piece is pull broached, the broach tool, which is long and thin with successively larger teeth, is pulled through the part in a continuous motion. It can also be pushed through. Rotary broaching is done on a lathe and the tool revolves at high speeds. Some broaching processes like pot broaching reverse the motion and while the tool remains stationary, the work-piece is moved with high force through it inside of a hollow housing called a pot. Larger broaching job shops contain several of these machines, which are also able to stamp, cast and forge the work-pieces. While there are many different methods and styles of broaching, the main idea remains constant. Every broaching machine, whether vertical or horizontal, contains one or more broach tools that contain teeth that cut out pieces of metal on the interior or exterior of the metal work-piece. They are automated and sometimes even part of a conveyor line system. When manufacturers need to rapidly produce large volumes of parts with specific shapes, the preferred machining process is broaching. However, broaching is so specialized that broaching job shops now offer different broaches to machine work pieces. Each broach tool has its own definite arrangement of multiple teeth to machine parts—therefore, different broaches are developed for different applications. Broaches generally fall into two major categories—push broaches and pull broaches. Broaches are then additionally categorized as either internal or external. The following paragraphs describe each major category and its differentiators. A push broach, as its name implies, is pushed through soft work pieces to machine a part, either with an arbor press or with a hydraulic press based on the application. A manual arbor press is used for low volume. However, when the volume of parts to be broached is large, a mechanized press is used. A push broach is typically short, as it undergoes compression to shape parts. A long push broach will either break or buckle under heavy loads. This type of broach is always pulled by a machine, either up and down or horizontally. Typically, pull broaches are flat or nearly flat, and they are used to flatten out the cylinder blocks and heads of vehicles. To machine using this type of broach, a part is rigidly mounted and the broach is pulled across to give it shape. Broaches are categorized as internal based on their use, as they machine parts from the inside. Internal broaches include a hole through which they either are pulled or pushed in order to machine parts from the inside. Types of machines that use internal broaching range from automated and verticals units to pull-type horizontal units. Internal broaches have applications in keyway making and burnishing. For making keyways in parts and tools, keyway broaching is employed, which includes a flat bar with an arraignment of cutting teeth. To guide a keyway broach while machining, a slotted bushing or horns, which attach to the hole, is required. However, when parts of similar diameter and keyway size are to be machined, horns or bushings are not required. Burnishers are specialized broaches that do not cut material but polish instead. When accuracy is critical, burnishing broaches are used, and they work as a push broach. There is one more type of internal broach called shell broach, which is used for roughing and finishing purposes. This type of broaches is utilized when material has to be removed from the external surface. External broaches are also known as surface broaches. To machine work pieces, an external broach with a combination of teeth is passed over the machine surface. Inversely, sometimes the work piece itself is moved against the teeth of an external broach to give the part a flat or contoured surface. External broaches come in many types that differ in shape based on the manufacturing requirement. Inserts or indexable tool bits are used with external broaches with the help of a broach holder or sub holder that is mounted on the machine. Blind broaching, where indents and shapes are machined on metal work pieces, is a common example of external broaching.